Mimosas, eggs benedict, fluffy omelets, and bacon — all make a strong a case for why brunch is the best meal of the day. So, where can you find brunch places in Tampa that offer delish food at affordable prices? We’ve got you covered. If you’re a fan of brunch like the team at Reeves Volkswagen, you’ll love our list of the best brunch spots in Tampa, FL! Daily Eats has one of the largest brunch menus on this list, from breakfast bowls and benedicts to omelets and egg sandwiches. Order a cup of veggie chili or smoked salmon with red onions, tomato, and scallions on the side for an even bigger punch of flavor. Brunch is available until 2:45 p.m. on Saturdays and Sundays only, so try not to miss out! Location: 901 S. Howard Ave. Serving classic brunch in a modern setting, Green Lemon is the place to go for “tableside” Blood Marys and affordable but tasty dishes like the Breakfast Buster — a quarter-pound Angus burger topped with a fried egg, bacon, cheddar, and chipotle aioli wrapped in a tortilla with fruit, grits, home fries, or french fries. You’ll get all of that for just $15! Location: 915 S. Howard Ave.
Down-to-earth and homey, La Teresita Restaurant has been serving authentic Cuban and Spanish cuisine since the early 90s, including protein-packed breakfasts. Pair an espresso with two eggs with ham or bacon, or try their tortilla/omelets with onions, cheese, green peppers, ham, bacon, or sausage. Location: 3248 W Columbus Dr.
Pane Rustica is a casual Italian cafe and bakery. Their breakfast/brunch menu is simple, filling, and flavorful. Choose from staples like scrambled eggs with tomato, a frittata of the day, or a breakfast sandwich with cheddar cheese, bacon, eggs, arugula, and tomato. In the mood for something sweet? Try an apple or cherry strudel. Location: 3225 S. MacDill Ave.
Datz offers brunch from 8:30 a.m. to 3:00 p.m. on Saturday and from 8:30 a.m. to 9:00 p.m. on Sunday. Try their cheesy breakfast tacos and a high-caffeine cold brew coffee for a boost, or a classic mimosa with Bravocado Toast — a classic avocado toast topped with watermelon radish, tomatoes, black salt, and a side of two eggs. Location: 2616 S. MacDill Ave. 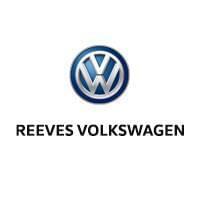 Learn More About Tampa, FL with Reeves Volkswagen! Get more great suggestions from Reeves Volkswagen, including how to properly care for your new VW in Tampa’s climate. Feel free to contact us with any questions!